Frontline caregivers across the United States—and in many other countries, no doubt—are bombarded by multiple quality improvement (QI) projects. A clinical unit might simultaneously be engaged in efforts to reduce readmissions, eliminate hospital-acquired infections and other complications, increase hand-hygiene compliance, improve performance on core measures, and enhance the patient experience. The demands brought by participating in all of these efforts risk overwhelming health care professionals, who are already stretched thin in an environment of reduced reimbursements and health care reform. So what are the ingredients that help some quality improvement projects succeed in this atmosphere? How do we avoid “initiative fatigue”? These were among the questions that sociologists from the University of Pennsylvania and Harvard University sought to answer as they interviewed 150 hospital workers across six states who were involved in two large-scale quality improvement projects. Targeting surgical site infections and ventilator-associated pneumonia, respectively, the projects were funded by the Agency for Healthcare Research and Quality and led by Johns Hopkins’ Armstrong Institute for Patient Safety and Quality, with the sociologists as key members of our project teams. Small wins go a long way. Frontline staff can usually identify simple, inexpensive changes that can reduce the hazards that they have identified. These quick, early wins can show frontline providers that their team is capable of improving safety, and help to generate momentum. Do it with feeling. It’s not enough for a care team to simply use a tool, such as a checklist. Observing teams in their use of a pre-surgical timeout, the sociologists found that some care teams used it only “symbolically”—often without any eye contact between providers, while other care processes were going on. For others, it was a “genuine safety practice,” as clinicians used the tool to identify potential risks. They revised the tool continually to meet their needs. These lessons support what we have seen at Johns Hopkins, across the U.S. and internationally: When the work of patient safety does not feel like something extra, but is part of how we do things here, it has greater staying power. One way we have ingrained safe practices into daily work is through adoption of the Comprehensive Unit-based Safety Program (CUSP), a structured approach for improving patient safety culture while engaging frontline clinicians to tackle the hazards in their work areas. When CUSP teams are successful, they can absorb many of the quality and safety demands that staff face without it feeling like so much extra work. In an article for an e-newsletter published by the Armstrong Institute several months back, one nurse leader from a Portland, Ore. hospital talked about how the CUSP framework helped her staff to avoid initiative burnout. Kris Farrimond says that the approach has appealed to nurses wary of being overloaded. “It isn’t about doing one more thing,” she says. Whether your organization uses CUSP or another quality improvement process, I think you’ll agree that that’s a great way to think of it. If we can participate in these important initiatives, while at the same time keeping the safety of our patients foremost in our minds, caregivers and patients alike will benefit. One of the most exciting things about working in patient safety and health care quality is that it’s not solely about advancing science or applying performance improvement methods. It is also about the excitement of being part of a social movement that is changing the culture of medicine—putting patients at the center of everything, sharing errors in the hopes of preventing future ones, and confronting hierarchies that stifle communication and innovation. As a healthcare professional you know so much about your patient. You know their name, their personal details, their health conditions, who they live with and much more. What do we as patients know about our healthcare professionals? The answer is often absolutely nothing, sometimes it seems not even their names. The balance of power is very one-sided in favour of the healthcare professional. She asked that health care professionals make a pledge to introduce themselves to every patient that they meet, and share the challenge with others across the National Health Service. Thus was born a movement that went viral, aided by the Twitter hashtag #hellomynameis. More than five months since her post, there is a steady stream of tweets every day. Some clinicians wear lanyards with the hashtag, a show of support and a reminder to introduce themselves. Last week, NHS Employers released a video celebrating the #hellomynameis campaign. More than anything, introducing yourself to patients is an issue of providing compassionate care. But it is also a patient safety issue. 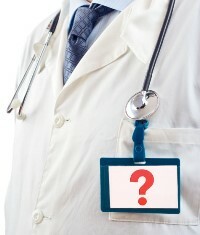 We know that faulty communication so often lies at the root of medical errors. How many adverse events might be prevented if all clinicians introduced themselves, making them more inviting to questions and concerns? The #hellomynameis campaign is most firmly rooted in the United Kingdom, but it’s a concept that should be adopted by anyone, anywhere who has direct patient contact. Hopefully, it’s not too much to ask caregivers to keep a simple mental checklist of everything they do when approaching a patient: sit down near the patient, introduce yourself by name, listen to the patient and learn from them. If we join this movement that puts patients at the center of our work, we would see the world differently. If we put patients first, we would have open visiting hours. We would round inside of patients’ rooms rather than in the hallways. We would conduct nursing shift change with the patient and loved ones present rather than without them. Several years ago at Johns Hopkins, we embraced a similar concept on our surgery teams. Before the start of a case, the entire care team—surgeon, anesthesiologist, nurses and others— introduce themselves by name, as a prelude to going over the details of the operation. They talk about what might go wrong, so they can preemptively deal with those issues before incision. Across health care, we talk about the importance of treating patients and family members as part of the care team. We can’t honestly profess to be doing that unless they know our names.